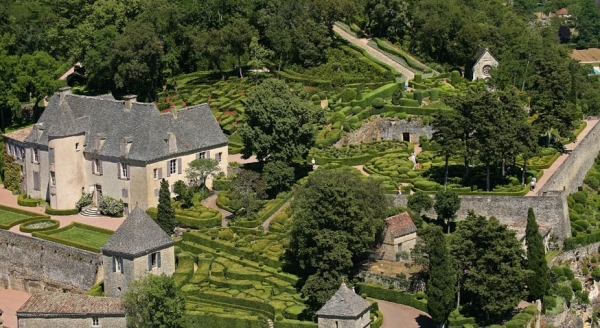 This marvelous garden design is located in Périgord, one of UNESCO’s world heritage locations. 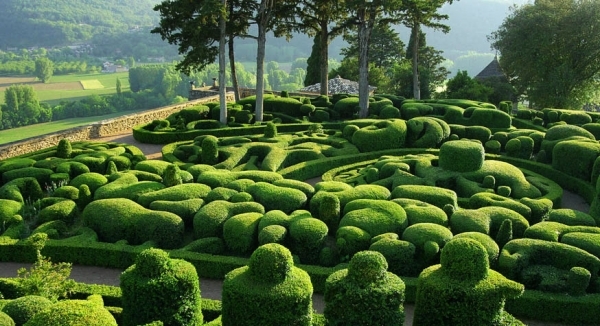 It is called the Gardens of Marqueyssac and it was planted in 1861 by Julien De Cerval. 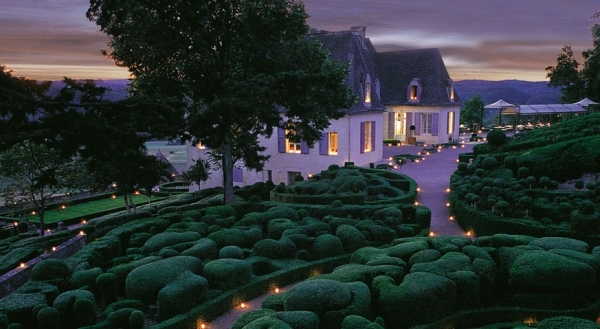 The garden is absolutely magical with its lively and full bushes, fantastic boxwoods, and meticulous design. 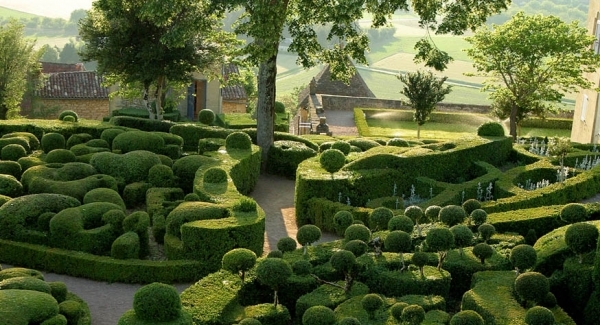 We love the shapes in this delightful garden. The straight line that travels around certain areas is wonderful, and the kidney-like shape is interesting and unique. 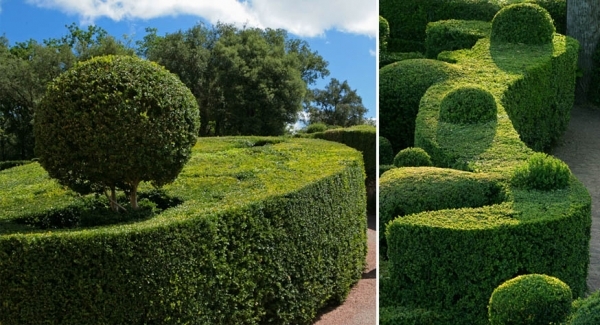 The taller bushes add variety, bringing even more interest to this wonderland. The walkway is a gray color, matching the stone wall, and complementing the bright green color of the trees and the bushes. The three pathways in this garden, The Cliff Walk, The high Walk, and The Great Walk, all lead to the Belvedere, which is the area with the best view. 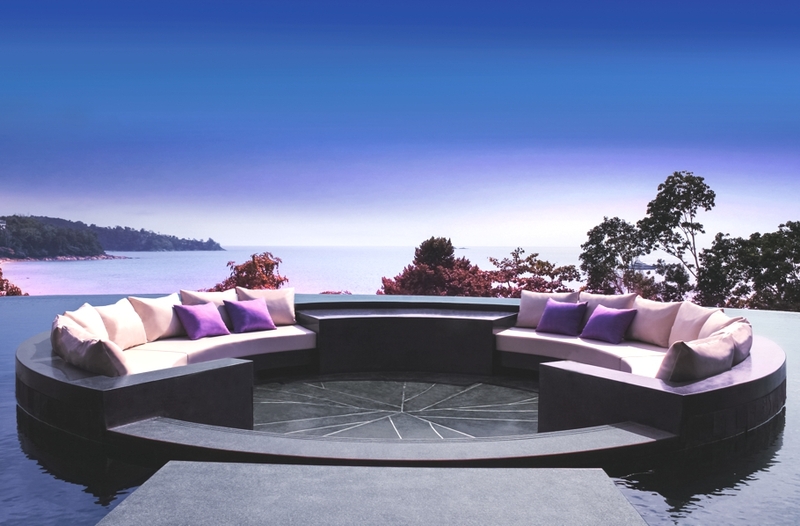 The circles are fantastic in this garden design. The rectangular shapes are fascinating. They sit on uneven ground, adding levels to this section of the garden. The rectangles don’t touch or connect, adding even more character to this intriguing area. 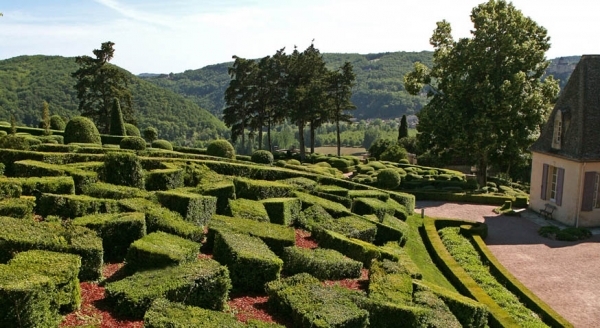 Beautiful hills and open sky surround this magnificent garden, bringing an extra dose of charm to this ambrosial space. The cone shape towards the back is lovely. The circles in this area create a sense of joy and enchantment, fashioning a fun and playful atmosphere. 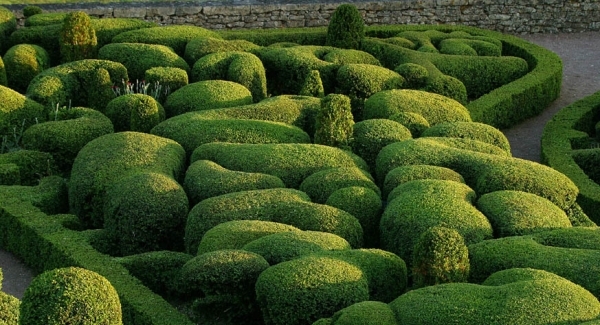 The scope of this garden design is out of this world. From an aerial view, it almost looks like a bunch of beautiful puzzle pieces. 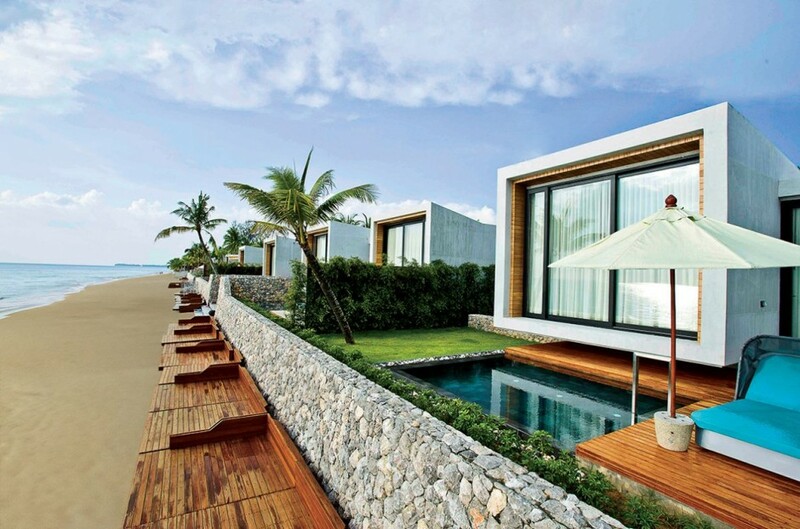 We adore the trees that are utilized in the space, they seem to be identifying each area. 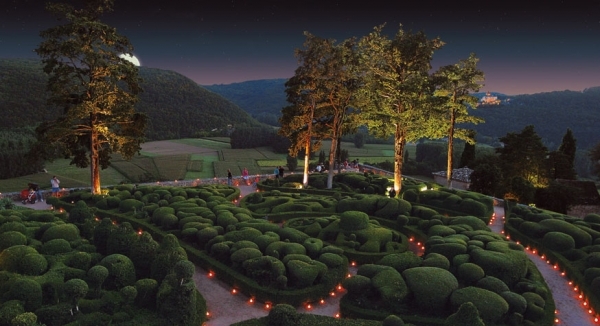 When the sun goes down, this magnificent garden is lit by small lights along the walkway. The warm glow from the lighting creates an amazingly romantic atmosphere, fashioning the perfect place to visit on a couple’s vacation.